micro circuitry with multiple functions (formerly complications) at that same level of low cost and carefree accuracy. 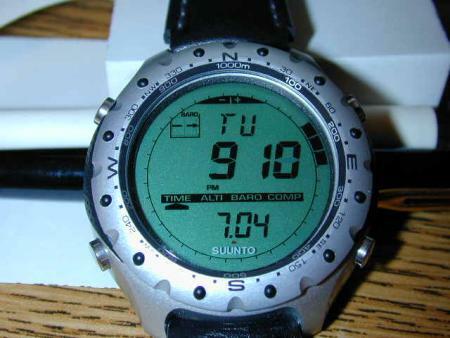 It is this mating of the quartz oscillator and LCD that has resulted in our age of advanced tool watches. Some feel that the great era of instrument watches lies behind us, as many of the archetypal tool watches are acknowledged as important horological works in their own right. To the connoisseur of fine mechanicals they are an underclass, somehow not “real” watches at all. For them words like “quartz” and “analog/digital” evoke images of crude, ugly, infernally accurate machines of little emotional appeal or aesthetic interest. I in turn think that there may be something of interest for those willing to look more closely. personnel around the world, as well as by law enforcement, and are the watches that many of us automatically reach for when engaging in sports or anything else that would pose a hazard to our precious mechanicals. “Mr-G” image below). More information on the history, development, and technical characteristics of this line is available in the article Unbreakable. “Indiglo” electroluminescent dials — revolutionizing the night visibility of LCD displays. President Clinton’s early Indigo model has been exhibited at the Smithsonian Institute’s Museum of American History. For almost as long as there have been CBPs there have also been a few high-end multifunction instrument watches mainly focused (or at least marketed) towards a group of professionals whose working environment does not dictate a need for “disposability” — the aviator. From the first these watches have utilized titanium, the fashionable wonder metal of our day, and an old standby in aerospace engineering. tested the watch throughout its development. The large distinctive central LCD screen features a large curved digital readout. First seen on the Seamaster Multifunction, it has in this case been optimized to permit reading of the display without having to remove one’s hand from the flight controls. It’s movement is factory rated to +/- 37 seconds a year (which means that it is using some form of temperature or other accuracy compensation) and features pilot specific functions like “Mission Elapsed Time” (MT) and “Universal Time” (UT). The design obviously places function above aesthetic considerations, but the polished steel bezel is unforgivable. While the X-33 is flight qualified by NASA for manned space missions, there is some general skepticism about this watch being used on a manned mission to Mars — other than in the movies that is. preceded, it has been employed by pilots and non-pilots alike for its famous legibility, light weight, slim profile, and of course for its very elegant design — perhaps the most elegant multifunction watch yet produced. 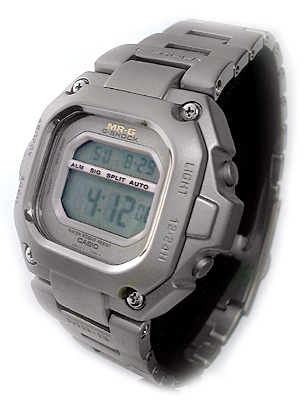 A design of amazing longevity, it lacks the recently invented electroluminescent backlighting of the X-33 and other current LCD watches. The multipurpose pusher/crown is its most controversial aspect, accounting for its elegant and clean styling and probably contributing to its 100m water resistance rating, but also to its less than optimal functionality. Likewise the infamous Breitling “rider tabs” provide protection to the sapphire crystal, but are the undying bane of shirt cuffs and anything else they can bite into. In recent years this classic has been tainted with the bizarre “Repetition Minutes” function and dial script, also changing the movement from calibre 65 to 67. Breitling.com). The good news is that it uses the Aerospace’s earlier calibre 65 and non-italic font, and dispenses with the cuff-eating rider tabs. The bad news is its price tag. titanium, instead using a luxuriously polished steel case and bracelet — not really in line with instrument watch aesthetics. Evidently an attempt to recreate the immortal Navitimer as a multifunction quartz watch, it overlooks many of the instrument watch design principles that made the original an effective and useful tool. I expect that it will find a larger audience with passengers than with pilots. For those that desire greater or more specialized functionality than offered by the average CPB and the pilots watches above, there is a new generation of analog quartz watches based on the designs and principles of mechanical-era instrument watches, and new innovative CPBs unlike any seen before. Seiko’s Prospex group is a little-known series that is only marketed and sold in Japan. Using analog displays exclusively, they are built upon various cutting-edge quartz movements, notably the AGS (kinetic), Kinetic Auto Relay, and temperature-compensated Perpetual Calendar. Titanium is used for most cases, bracelets, and bezels — though steel and even ceramic has been utilized for a few watches. 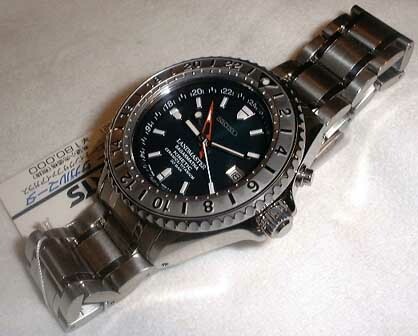 Many models (like the Landmaster Sagarmatha above) have monocoque cases, 200m water resistance, and all feature sapphire crystals. functions, and a few specialist watches like a heart-rate monitor and two sailing timers. The lithium batteries are user changeable. These watches are not sold through watch retailers but rather through sporting goods stores. altimeters, barometers, thermometers, tide and lunar displays, digital compasses, and even GPS satellite navigation amongst other functions too numerous to mention. The styling is classic CPB — which has its limitations and disadvantages at this level of complexity. instrument watch users has changed and evolved as well. 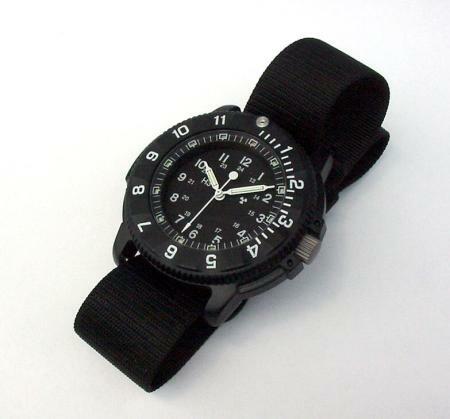 Fewer specialized instrument watches are tools developed for professional use, and more are accessories for sportsmen. While these quartz wristwatches may be anathema to the mechanical purist, I think that they have both functional value (as tools) and real horological significance in the continued evolution of the personal timekeeping instrument. Seiko Landmaster by Katsuhira, Higuchi-Inc.